Liz's Paper Loft: MCT Inspire Me Wednesday ~ watercolor dress! MCT Inspire Me Wednesday ~ watercolor dress! Happy Wednesday to you and welcome to My Creative Time Inspire Me Wednesday! Today I get to share with you what inspires me. I love it when something completely different gives me the inspiration I need to get my creative juices flowing...just like this dress! What do you think? Would you wear this? I would for sure, but even if you wouldn't, I think it makes for a great card inspiration. I first stamped the black lines with Archival ink using Mad for Plaid stamp and die set. 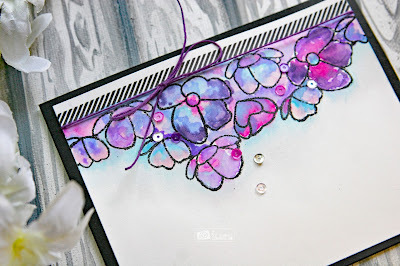 Next I embossed with black glitter powder using A Beautiful Day stamp and die set, then water colored the flowers with Distress Inks. 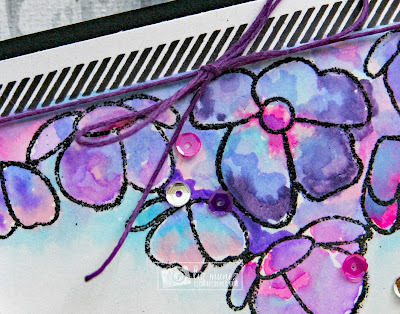 I just let the magic of Distress Inks do their thing...and voila it was done! A few sequins and some thin hemp and my card was complete. Oh Your Card turned out Spectacular...You so did a Super Outstanding Creative job!! YOU so ROCK!! Oh wow!!! Your card is gorgeous! Love the colors! The dress would look even more awesome with a large version of the flowers done as you have painted/inked them! Beautiful card! Ooh la la !!! 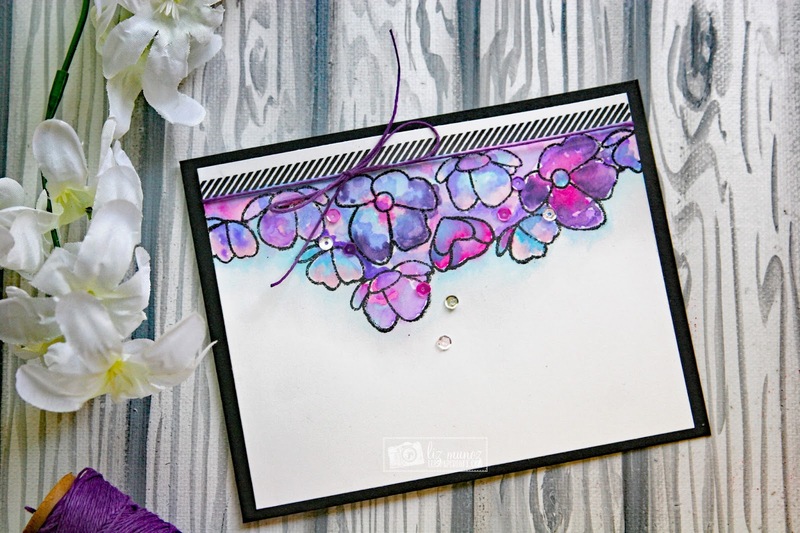 I love how you used the mad for plaid stamp, great idea and your card resembles that dress very much! Wonderful, pretty card. MCT Weird Holiday ~ lazy day! MCT Made In Minutes ~ thinking of you! MCT July Release Blog Hop ~ flip flop! mct July Release Sneak Peek Day 2 ~ lego boxes! MCT July Release Sneak Peek Day 1 ~ hello! MCT Tag It Tuesday ~ all you need is a book! MCT Cook-n-Craft ~ wood and feathers!